Team Jamaica wins the women’s Women’s 4x100m gold medal at the Central American and Caribbean (CAC) Games which is underway at the Roberto Melendez stadium in Barranquilla, Colombia. 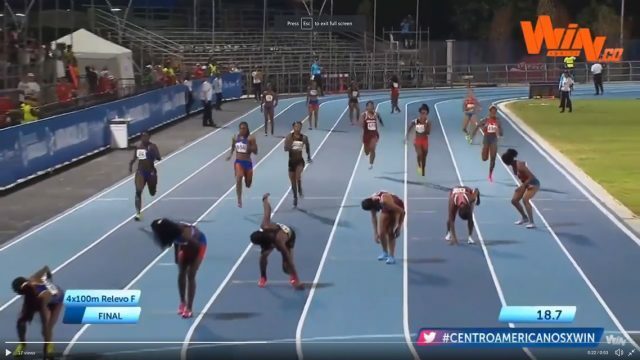 The team – Jura Levy, Sherone Simpson, Jonielle Smith, Natasha Morrison, clocked 43.41 seconds to beat Trinidad and Tobago (43.61) and Dominican Republic (43.68). The men finished third, winning the bronze medal. 2018 CAC Games. Barranquilla, Colombia.